Oh, nothing. 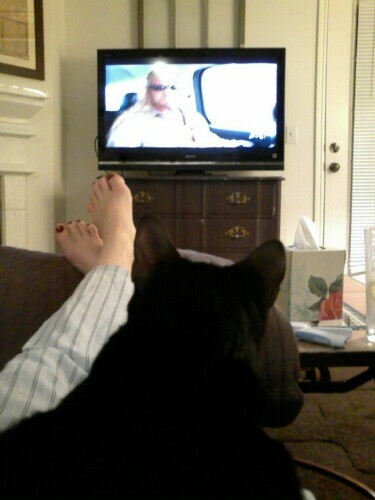 Just me and Batman watching Dog the Bounty Hunter together. Previous Post Who said chivalry is dead? Next Post Audrey: Surfing the Web like a pro. Random side note, but I have that same kleenex box on my desk right now! That is very important to know. It also matches my blog. Cute, huh? Coleman’s toes look very pretty.